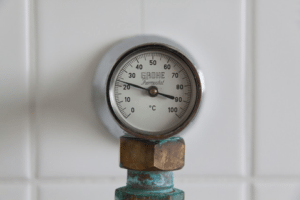 4 SIGNS YOU MAY NEED HVAC REPAIR IN JACKSONVILLE | Progressive Air & Mechanical, Inc. If you’re constantly turning the thermostat up or down and feeling no difference in the air, there could be a serious issue with your HVAC system. Your air conditioning unit might have dirt clogging the vents, which leaves the unit unable to properly respond to the thermostat. If you’re noticing sounds that resemble nails on a chalkboard, violent squealing, or heavy rattling, it could indicate a faulty mechanism within your HVAC system. These noises may be evidence of a broken belt or a failing motor. If this sounds familiar, you should seek HVAC repair in Jacksonville as soon as possible. If left unattended your HVAC system might suffer permanent damages and may even need replacing. An unfriendly odor coming from the area in which your HVAC resides is a surefire sign of a faulty system. If the smell is sharp and foul, it’s highly possible that insulation wires in the HVAC system have burned out. If the smell is stale and musty, you may have a problem with mold accumulation in or near your HVAC system. Whatever the smell, seek professional HVAC repair in Jacksonville, Florida immediately. Is your heating or cooling bill skyrocketing for no apparent reason? If you have made certain that no one in your home is secretly sabotaging your heating and cooling (kids do the darndest things sometimes), you should absolutely consider having your HVAC unit inspected by professionals. If your utility bills are unexplainably high, your HVAC system is likely working overtime to compensate for an inefficiency. This can happen for a multitude of reasons, some of these being: old age, too much dust, or faulty parts within your HVAC system. If any of these signs sound familiar, don’t freak out! Now that you’ve identified the problem, all that’s left is finding quality HVAC repair in Jacksonville, Florida! Your HVAC system will be running smoothly in no time at all!